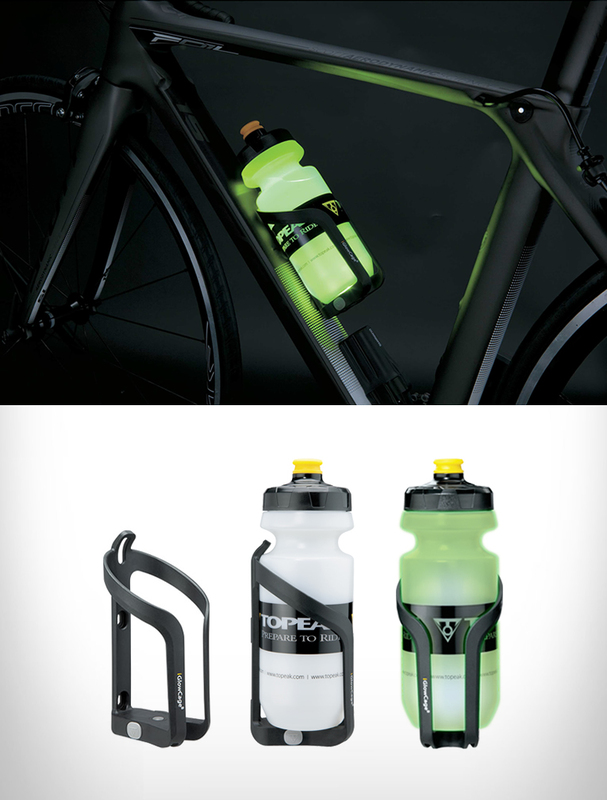 The folks at Topeak have decided to shed some more light of wattle bottles – literally. One of the biggest challenges a cyclist has, is staying visible to traffic. Topeka’s new iGlowCageB will surely grab the attention of every motorist around you. Winner of the prestigious Red Dot Award, the ingenious water bottle features an integrated super bright RBG LED that illuminates it for 360 degrees of visibility, increasing night safety by alerting motorists or other cyclists of your presence. You can choose from constant on and blinking of the light, and a variety to the easily switchable colors.